Microvascular Cranial Nerve Palsy (MCNP) is one of the most common causes of acute double vision in the older population. It occurs more often in patients with diabetes and high blood pressure. MCNP is sometimes referred to as a “diabetic” palsy. This condition almost always resolves on its own without leaving any double vision. Six muscles move your eyes. 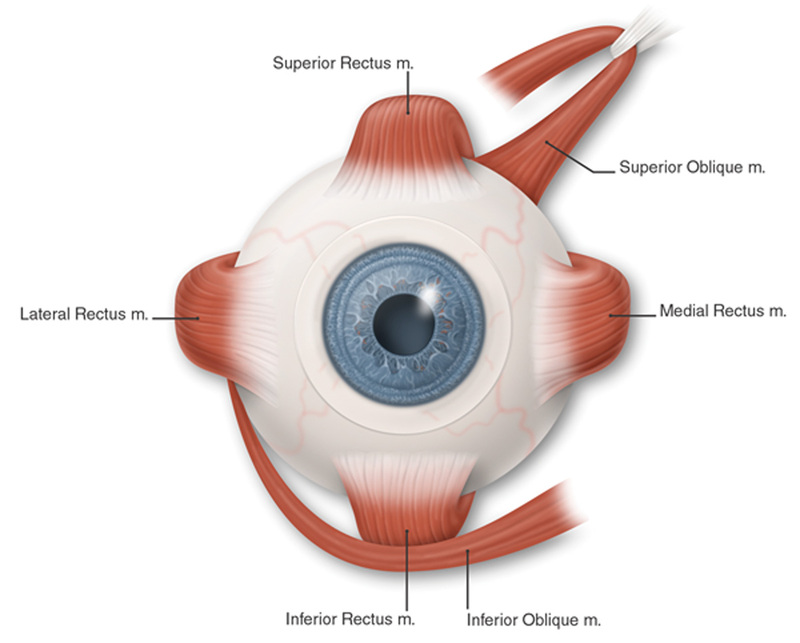 Four of these muscles attach to the front part of your eye (just behind the iris, or the colored portion of the eye). Two muscles that attach to the back of your eye are responsible for some of the up-and-down (vertical) movement and most of the twisting movement of each eye. These six muscles receive their signals from three cranial nerves that begin in the brain stem. A nerve cannot function properly when its blood flow is blocked. If the 6th cranial nerve (also called the abducens nerve) is affected, your eye will not be able to move to the outside and you will be aware of double vision, seeing side-by-side images. If the 4th cranial nerve (also called the trochlear nerve) is affected, you will be aware of vertical double vision (one image on top of another). You may be able to eliminate or decrease the double vision by tilting your head towards the opposite shoulder. The 3rd cranial nerve (also called the oculomotor nerve) supplies four of the six eye muscles. These are some of the muscles that control the eyelid and the size of the pupil. When the 3rd cranial nerve is affected, your eye may be limited in its up-and-down motion and may turn away from your nose. The eyelid may droop. You usually experience combined vertical and side-by-side double vision. What causes microvascular cranial nerve palsy? It is not always clear what causes the blockage in the tiny blood vessels to the cranial nerves. In some cases, diabetes or high blood pressure may be risk factors. In young patients, migraine may affect these tiny vessels. Occasionally there may also be a blocked vessel in the covering of the brain, which can be associated with pain around the eye. The nerves are not permanently injured, and over a period of six to 12 weeks, normal function should recover. If the double vision does not go away, it is very important to tell your ophthalmologist (Eye M.D.). What are the signs and symptoms of microvascular cranial nerve palsy? The signs of MCNP are usually problems with movement of your eyes that lead to blurred or double vision. If severely affected, your eye may not be able to move at all in one or more directions. Sometimes there may only be a slowing of movement. A careful description of these symptoms is important to your ophthalmologist. He or she will perform a complete medical eye examination to help determine what pattern your double vision fits and whether or not it is an isolated cranial nerve weakness. If you have multiple microvascular cranial nerve palsies, involvement of the pupil, or have onset at a younger age, a neurologic exam and imaging study (such as CT, MRI scan, or angiogram) may be necessary. Anyone diagnosed with MCNP should have their blood pressure and blood sugar checked to make sure they do not have diabetes or hypertension. How is microvascular cranial nerve palsy treated? There is no way to speed the natural recovery time for MCNP. Double vision may be treated by patching either eye. If the double vision persists, it may be possible to use prism glasses or to consider eye muscle surgery if recovery has not been complete. Anti-inflammatory drugs such as ibuprofen (Advil? or Motrin?) may help if there is associated pain with MCNP. It is important to make sure that blood pressure and blood sugar are adequately controlled. It is very important to tell your doctor if you have new symptoms of double vision or if your double vision fails to resolve. Risk factors that increase the chance of microvascular cranial nerve palsy (such as diabetes, high blood pressure, and smoking) also increase your risk of stroke. It is important that your doctor check to make sure that any risk factors you have be reduced or treated.